Our Huatulco cruise port guide gives you information about the docking location, cruise dock, transportation options and much more! 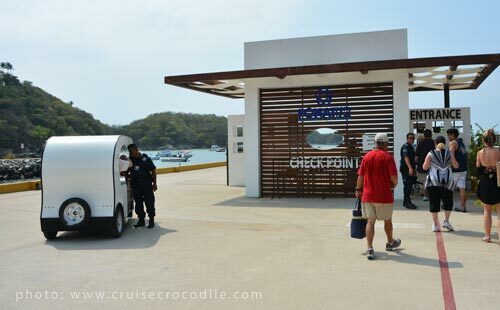 Welcome to the Huatulco cruise port guide. As soon as you walk off the cruise dock in Huatulco you will find a sign welcoming you to “Huatulco, close to heaven” and so it is. This piece of paradise in the Santa Cruz Bay is the perfect destination for the day. Huatulco is located on the rugged Oaxacan coastline. It is 20 miles long and offers coves, bays and 36 amazing beaches. Some are known as tourist areas but most of them are secluded supreme beaches that can be yours for the day! Find out underneath all you can see and do when visiting cruise port Huatulco. 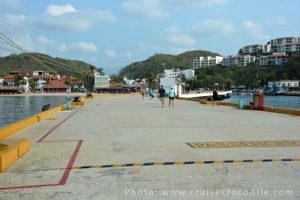 This is a view of the Huatulco cruise dock. From here it’s about 2 ship length walk to the exit of the port. At the cruise pier you will also find these small vehicles to take you to the exit of the port for a small tip. This is the Huatulco cruise port exit. At the exit of the port you will find the beach directly to the left hand side. In town you will also find a small tourist information point. 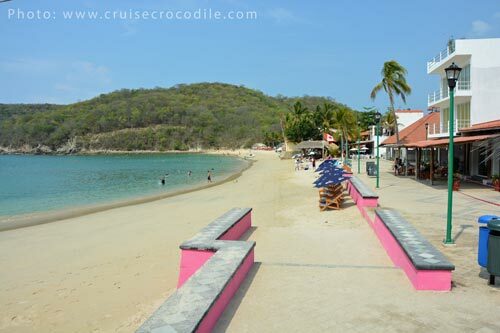 Your cruise ship will dock at the long cruise dock of Huatulco. It takes about 2 ship lengths to walk to the exit of the port and straight into town. 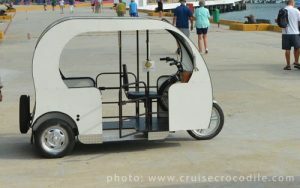 On the cruise dock are no facilities except for these tricycles that will bring you to the exit for a small tip. There is a small tourist information booth close to the exit of the cruise port. Find its exact location on the map above. 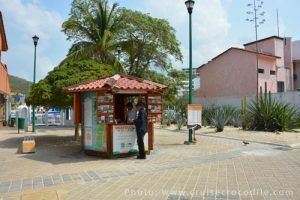 Pick up your local Huatulco maps and information here. As soon as you exit the cruise port area you will find local guides offering shore excursions and taxi drivers. You can make a deal for yourself for a tour around the area depending on what your plan for the day is. Official taxis have a orange/red top and white bottom. The taxi prices are on display at the tourist information booth. Expect the following one way prices: La Crucecita: 3 dollars La Entrega beach: 5 dollars El Maguey bay: 6 dollars Tangolunda (hotel zone): 5 dollars La Bocana beach: 8 dollars Santa Maria Huatulco: 18 dollars You can also rent a taxi by the hour. Take into account this will cost you around 30 dollars per hour. When you reach the exit of the port you will have the beach directly to you left hand side. At the beach you will find lots of restaurants and bars, watersport and beach facilities. For those who want to escape the crowd of the cruise beach you could take a taxi to the resort area north of Huatulco or take a private boat to one of the secluded beaches to the south. The restaurants and bars on the beach all have wi-fi. Order yourself a cold beer or fresh coconut and hop online. La Crucecita is the closest town located just on the other side of the hill. You could walk the 1,5 mile or take a 3 US dollar taxi to is. The town is known for its beautiful church, local market and shopping. Hagia Sofia is home to native plants, trees and butterflies. Coralita River is great for water rafting and you will also find the Rio Copalito Archeological Zone here. 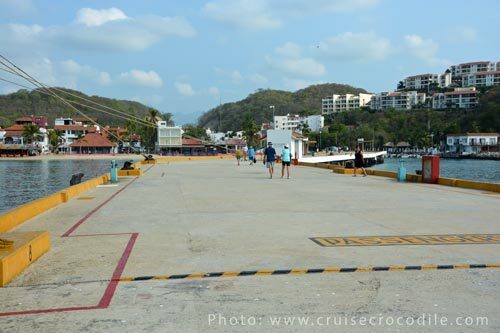 This is the Huatulco cruise dock. Cruise ships dock at the long pier in front of this small town. 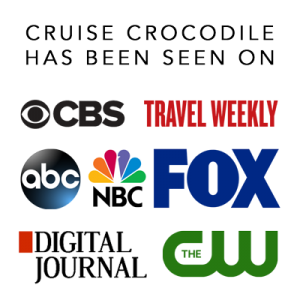 You will find tourist information, taxis, souvenis shops and a beach right off the cruise dock. 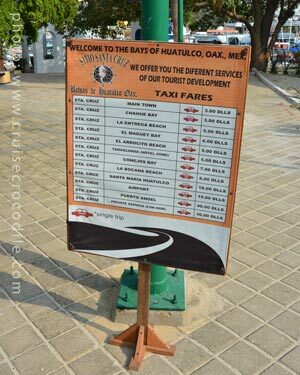 Read the full Huatulco cruise port guide for all the information you need for a day in Huatulco.